11:30 AM on Tuesdays. Join us as we read stories, make crafts, and have play time! For ages 6 and under. 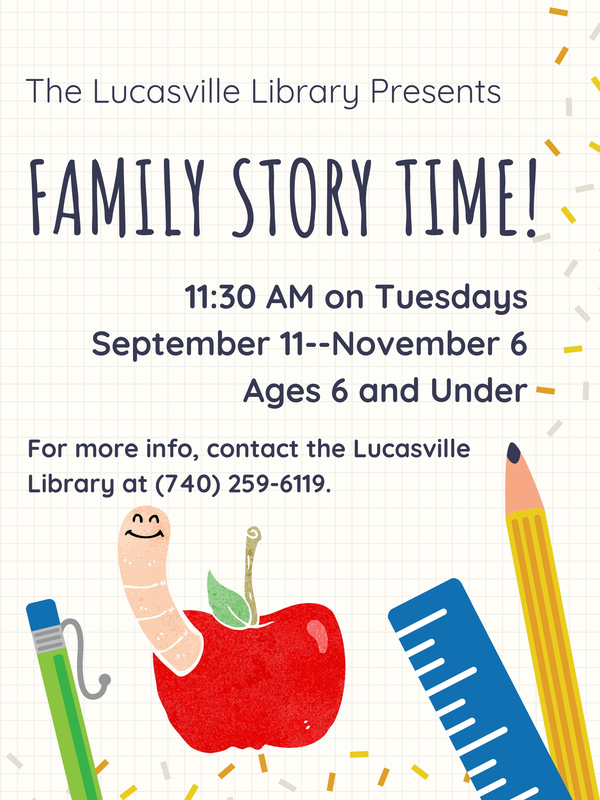 For more info, please contact the Lucasville Library at (740) 259-6119.